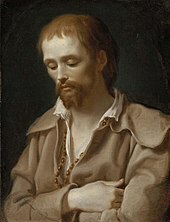 Basil Fool for Christ praying. He did not wear clothing either in summer or winter. Fools for Christ often challenge accepted norms to serve a religious purpose. Foolishness for Christ (Greek: διά Χριστόν σαλότητα, Church Slavonic: оуродъ, юродъ) refers to behavior such as giving up all one's worldly possessions upon joining a monastic order, or to deliberate flouting of society's conventions to serve a religious purpose–particularly of Christianity. Such individuals have historically been known as both "holy fools" and "blessed fools". The term "fool" connotes what is perceived as feeblemindedness, and "blessed" or "holy" refers to innocence in the eyes of God. The term fools for Christ derives from the writings of Saint Paul. Desert Fathers and other saints acted the part of Holy Fools, as have the yurodivy (or iurodstvo) of Eastern Orthodox asceticism. Fools for Christ often employ shocking and unconventional behavior to challenge accepted norms, deliver prophecies, or to mask their piety. Parallels for this type of behavior exist in non-Christian traditions as well. The Avadhuta (Sanskrit), for example, the Islamic tradition of Qalandariyya and Malamatiyya Sufism and other crazy-wise mystics display similar traits. Nasreddin, of the Sufis, is also an example. Certain prophets of the Old Testament who exhibited signs of strange behaviour are considered by some scholars to be predecessors of "Fools for Christ". The prophet Isaiah walked naked and barefoot for about three years, predicting a forthcoming captivity in Egypt Isaiah 20:2,3; the prophet Ezekiel lay before a stone, which symbolized beleaguered Jerusalem, and though God instructed him to eat bread baked on human waste, ultimately he asked to use cow dung instead Ezekiel 4:9-15; Hosea married a harlot to symbolize the infidelity of Israel before God Hosea 3. By the opinion of certain scholars, these prophets were not counted as fools by their contemporaries, as they just carried out separate actions to attract people's attention and to awake their repentance. According to Christian ideas, "foolishness" included consistent rejection of worldly cares and imitating Christ, who endured mockery and humiliation from the crowd. The spiritual meaning of "foolishness" from the early ages of Christianity was close to unacceptance of common social rules of hypocrisy, brutality and thirst for power and gains. By the words of Anthony the Great: "Here comes the time, when people will behave like madmen, and if they see anybody who does not behave like that, they will rebel against him and say: 'You are mad', — because he is not like them." "We are fools for Christ's sake, but ye are wise in Christ; we are weak, but ye are strong; ye are honourable, but we are despised." 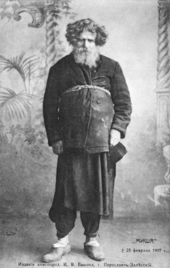 (KJV). The most famous example in the Western church is St. Francis of Assisi, whose order was known for following the teachings of Christ and walking in his footsteps. Thus, upon joining the order, Franciscans gave away all possessions and focused on preaching in the streets to the common man. Saint Juniper, an early follower of the Franciscan order, was known for taking the doctrine of the Franciscans to the extreme. Whenever anyone asked for any of his possessions, he freely gave them away, including his clothes. He once even cut off the bells from his altar-cloth and gave them to a poor woman. His fellow Franciscans had to watch him closely, and strictly forbade him from giving away his clothes. While such behaviors were embarrassing to his brothers, he was also recognized as a pure example of the Franciscan order and thus esteemed. "The Little Flowers of Saint Francis of Assisi", which documents the oral traditions of the Franciscans, told several stories of "Brother Juniper". The most famous of these is the story of how Brother Juniper cut off the foot of a pig to give it to a sick brother. Upon the sick brother's request for a pig's foot, Brother Juniper took a kitchen knife and ran into the forest, where he saw a herd of swine feeding. There, he quickly cut the foot off of one of the swine and carried it back to the brother, leaving the swine to die. This angered the herdsman, who complained to Saint Francis. Saint Francis confronted Brother Juniper, who joyfully exclaimed, "It is true, sweet father, that I did cut off the swine's foot. I will tell thee the reason. I went out of charity to visit the brother who is sick." Brother Juniper likewise explained to the angry herdsman who, seeing the "charity, simplicity, and humility" (Hudleston, 1953) in Brother Juniper's heart, forgave him and delivered the rest of the pig to the brothers. 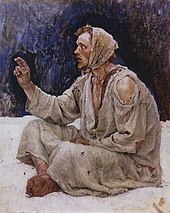 The Holy Fool or yuródivyy (юродивый) is the Russian version of foolishness for Christ, a peculiar form of Eastern Orthodox asceticism. The yurodivy is a Holy Fool, one who acts intentionally foolish in the eyes of men. The term implies behaviour "which is caused neither by mistake nor by feeble-mindedness, but is deliberate, irritating, even provocative." 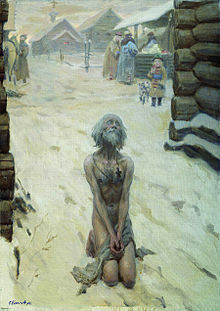 Fools for Christ are often given the title of Blessed (блаженный), which does not necessarily mean that the individual is less than a saint, but rather points to the blessings from God that they are believed to have acquired. The Eastern Orthodox Church records Isidora Barankis of Egypt (d. 369) among the first Holy Fools. However, the term was not popularized until the coming of Symeon of Emesa, who is considered to be a patron saint of holy fools. In Greek, the term for Holy Fool is salos. The practice was recognised in the hagiography of fifth-century Byzantium, and it was extensively adopted in Muscovite Russia, probably in the 14th century. The madness of the Holy Fool was ambiguous, and could be real or simulated. He (or she) was believed to have been divinely inspired, and was therefore able to say truths which others could not, normally in the form of indirect allusions or parables. He had a particular status in regard to the Tsars, as a figure not subject to earthly control or judgement. The Russian Orthodox Church numbers 36 yurodivye among its saints, starting from Procopius of Ustyug, and most prominently Basil Fool for Christ, who gives his name to Saint Basil's Cathedral in Moscow. One of the best-known modern examples in the Russian Church is perhaps St Xenia of Saint Petersburg. "Crazy for God" is an expression sometimes used in the United States and other English speaking countries to convey a similar idea to "Foolishness for Christ." It has been especially connected to the Unification Church of the United States. In The Way of God's Will, a collection of sayings popular among church members, Unification Church founder Sun Myung Moon is quoted as saying: "We leaders should leave the tradition that we have become crazy for God." In 1979 Unification Church critic Christopher Edwards titled a memoir about his experiences in the six months he spent as a church member: Crazy for God: The nightmare of cult life. In 2007, author Frank Schaeffer titled his autobiography Crazy for God: How I Grew Up as One of the Elect, Helped Found the Religious Right, and Lived to Take All (or Almost All) of It Back. It tells of his upbringing as the son of a well-known evangelical minister and his later conversion to the Greek Orthodox Church. In the same year Stephen Prothero, author and chairman of Boston University's Department of Religion, wrote in the Harvard Divinity Bulletin: "I am crazy for people who are crazy for God: people nearly as inscrutable to me as divinity, who leave wives and children to become forest-dwelling monks in Thailand, who wander naked across the belly of India in search of self-realization, who speak in tongues and take up serpents in Appalachia because the Bible says they can." "On fire for God" is an expression often used in respect of persons who are engaged in serving God in such a way that their activities reflect a 'burning' desire to fulfil their calling. This often manifests itself in what might be regarded as burning passion, such as evangelising (preaching) on the streets. The Holy is too great and too terrible when encountered directly for men of normal sanity to be able to contemplate it comfortably. Only those who cannot care for the consequences run the risk of the direct confrontation of the Holy. There are a number of references to the yurodivy in 19th century Russian literature. The holy fool Nikolka is a character in Pushkin's play Boris Godunov and Mussorgsky's opera based on the play. In Pushkin's narrative poem The Bronze Horseman, the character of Evgenii is based in the tradition of the holy fools in his confrontation with the animated statue of Peter the Great. The yurodivy appears several times in the novels of Dostoevsky. The Idiot explores the ramifications of placing a holy fool (the compassionate and insightful epileptic Prince Myshkin) in a secular world dominated by vanity and desire. According to Joseph Frank "though the gentlemanly and well-educated prince bears no external resemblance to these eccentric figures, he does possess their traditional gift of spiritual insight, which operates instinctively, below any level of conscious awareness or doctrinal commitment." In Demons, the madwoman Marya Lebyadkina displays many of the attributes of the holy fool, as do the characters of Sofya Marmeladova and Lizaveta in Crime and Punishment. He was an awesome figure: emaciated, barefoot and in rags, with eyes that "looked right through you" and long, shaggy hair. He always wore chains around his neck...Neighborhood children would sometimes run after him, laughing and calling out his name. Older persons, as a rule, viewed Grisha with respect and a little fear, especially when he suffered one of his periodic seizures and began to shout and rant. At such times adult bystanders would crowd around and listen, for they believed that the Holy Spirit was working through him. The Island (also known as Ostrov), a 2006 movie telling the life story of (fictional) Father Anatoly in 1970s Russia. The Ostern Miles of Fire. The character Kayom in At Home Among Strangers, who quickly turns from foe to friend, can be seen as such a figure. In the film Andrei Rublev, a jurodivyj character, "Durochka," is played by director Andrei Tarkovsky's wife Irma Raush. 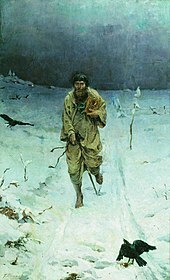 The Stalker from the film Stalker, also by Tarkovsky, can be identified as a holy fool. Andrew of Constantinople, the "Fool-for-Christ"
John of Moscow, the "Fool-For-Christ"
^ Frith, Uta. (1989) Autism: The Elegant Enigma. Malden, MA: Blackwell Publishing. ^ Gorainoff I. Les Fols en Christ... Р. 15–16; Saward J. Dieu a la folie. P. 15. ^ a b c J.- C. Larchee. Healing of mental illnesses: The experience of first centuries in the christian East. Translated from French into Russian. Moscow. Publishing House of Sretensky Monastery, 2007. 224 pages. ^ Apophtegmy (Alphavitnoye sobranie). About Avva Anthony. 25 (in Russian: Memorable stories.) p. 427. ^ Frith, Uta. (1989) Autism: Explaining the Enigma. Malden, MA: Blackwell Publishing. ^ Hudleston, Dom R. (1953) The Little Flowers of Saint Francis of Assissi", 1st English translation, revised and amended. London: Burns & Oates. ^ a b c d Ivanov, S. A. (2006) "Holy Fools in Byzantium and Beyond." Oxford: Oxford University Press. ^ a b "Foolishness-for-Christ, Article on Pravmir Portal". Pravmir.com. Retrieved 2012-01-04. ^ "The Way of God's Will Chapter 3. Leaders". Unification.org. Retrieved 2012-01-04. ^ "Crazy for God". Theologytoday.ptsem.edu. Retrieved 2012-01-04. ^ "Ink Q & A Frank Schaeffer". Powells.com. 2011-12-05. Archived from the original on 2011-12-05. Retrieved 2012-01-04. ^ Pelikan, Jaroslav (2001-11-07). Fools for Christ - Jaroslav Pelikan - Google Boeken. ISBN 9781579108021. Retrieved 2014-03-19. ^ Volkov, Solomon (2007-12-18). Shostakovich and Stalin: The Extraordinary Relationship Between the Great ... ISBN 9780307427724. ^ Volkov, Solomon (2010-06-15). St Petersburg: A Cultural History. ISBN 9781451603156. ^ Rosenshiels, Gary (2003). Pushkin and the Genres of Madness: the Masterpieces of 1833. University of Wisconsin Press. p. 112. ISBN 9780299182045. ^ Grayling, A.C. (2010). The Heart of Things: Applying Philosophy to the 21st century. Hachette UK. ISBN 9780297865643. ^ Frank, Joseph (2010). Dostoevsky: A Writer in His Time. Princeton University Press. p. 579. ^ Frank, Joseph (2010). Dostoevsky: A Writer in His Time. p. 658. ^ "The Way of the Holy Fools". 22 September 2008. ^ a b Birukoff, Paul & Tolstoy, Leo. (1911) “Leo Tolstoy: His Life and Work.” New York: Charles Scribner’s Sons. Parry, Ken; David Melling; Dimitri Brady; Sidney H. Griffith; John F. Healey, eds. (1999). The Blackwell Dictionary of Eastern Christianity. Malden, MA. : Blackwell Publishing. ISBN 978-0-631-23203-2. Georg Feuerstein. Holy Madness: The Shock Tactics and Radical Teachings of Crazy-Wise Adepts, Holy Fools and Rascal Gurus (Spirituality, Crazy-Wise Teachers, and Enlightenment). Hohm Press, 2006. Petzold, H.G. (1968): Gottes heilige Narren. Hochland 2, 1968, 97-109. Petzold, H.G. (1977): Zur Frömmigkeit der heiligen Narren. In: Die Einheit der Kirche. Festschrift für Peter Meinhold, hrsg. v. Lorenz Hein. Franz Steiner Verlag, Wiesbaden, 140-153. Wikimedia Commons has media related to Foolishness for Christ.